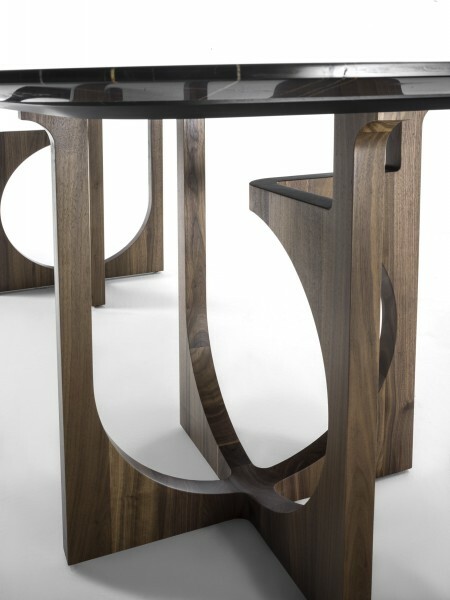 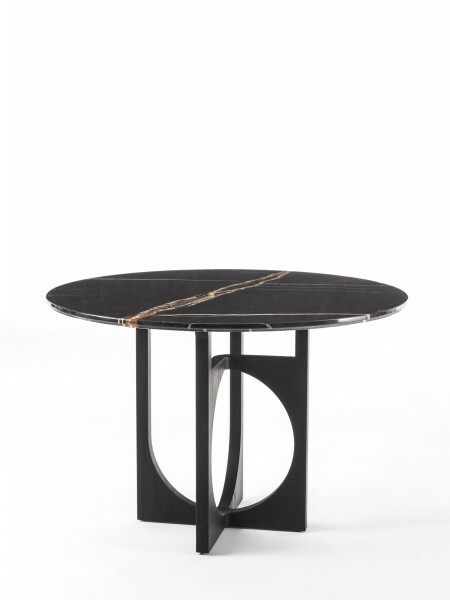 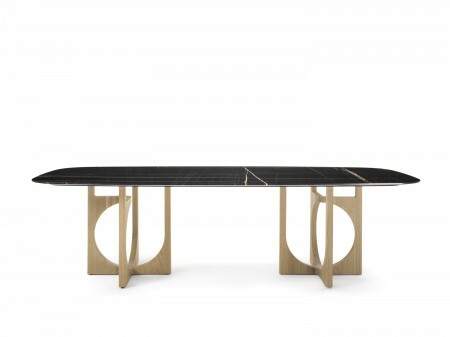 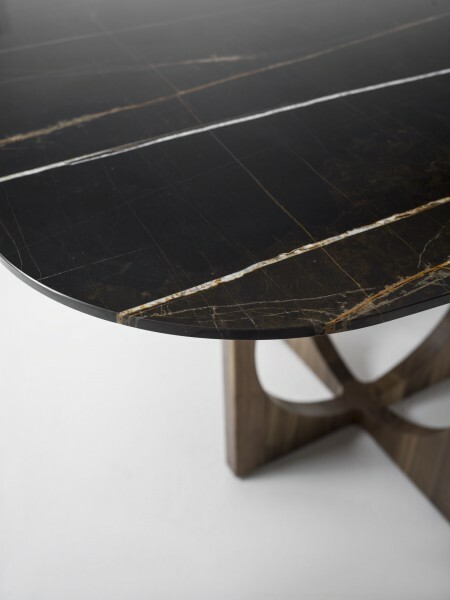 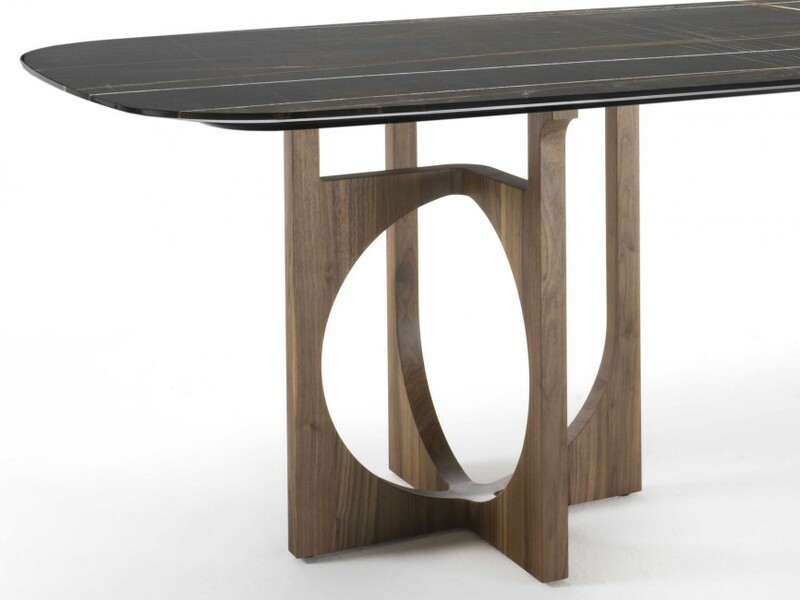 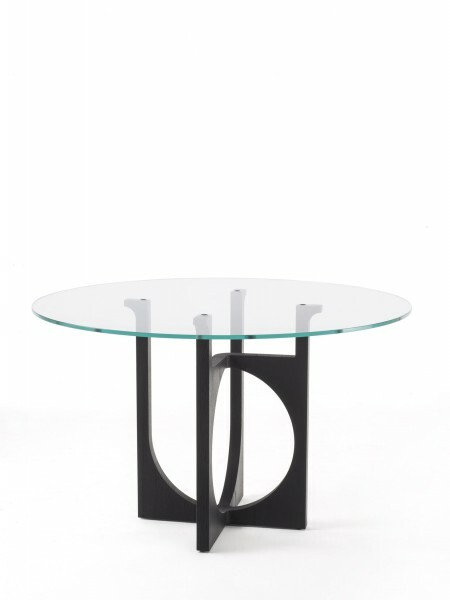 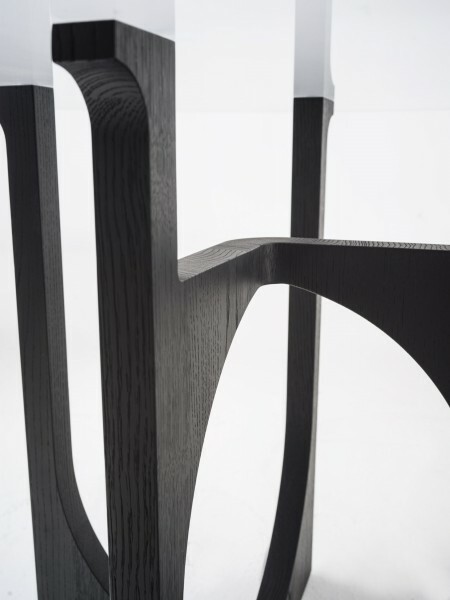 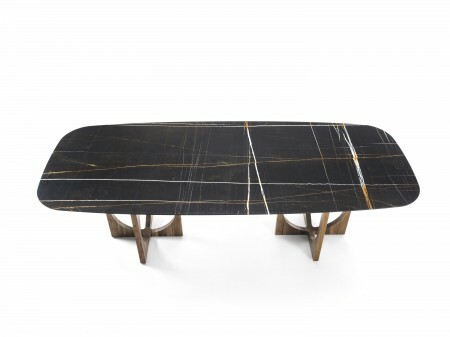 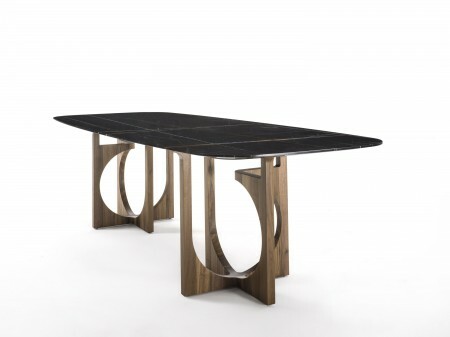 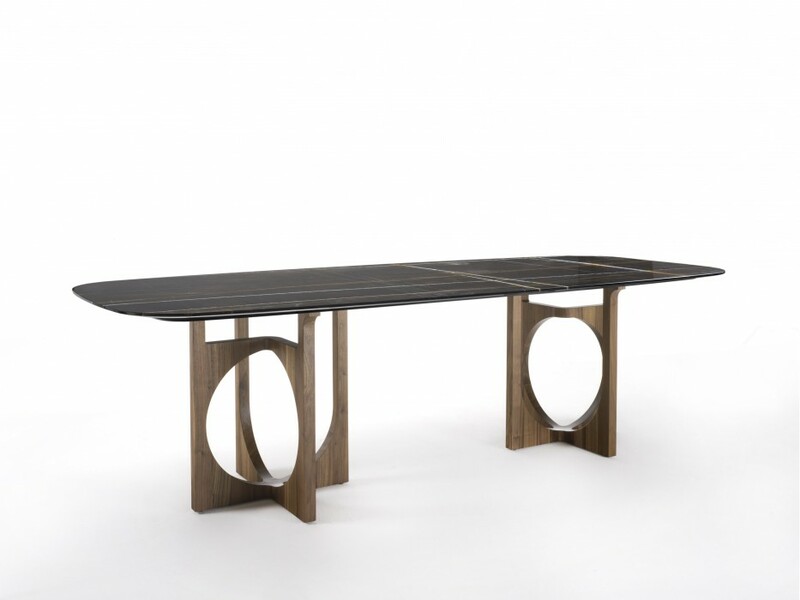 Vuoto table is a combination of material and space that creates a sophisticated tridimensional structure. 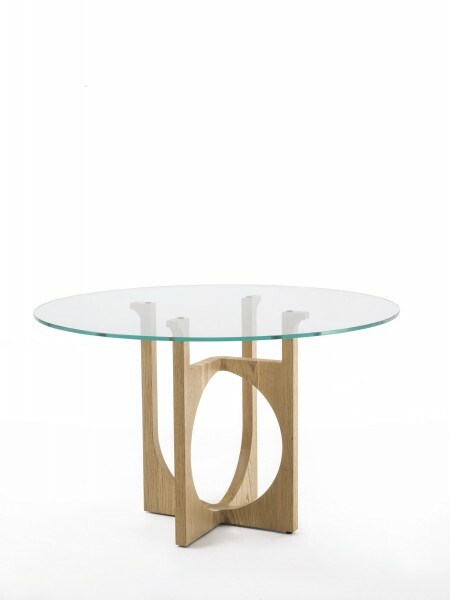 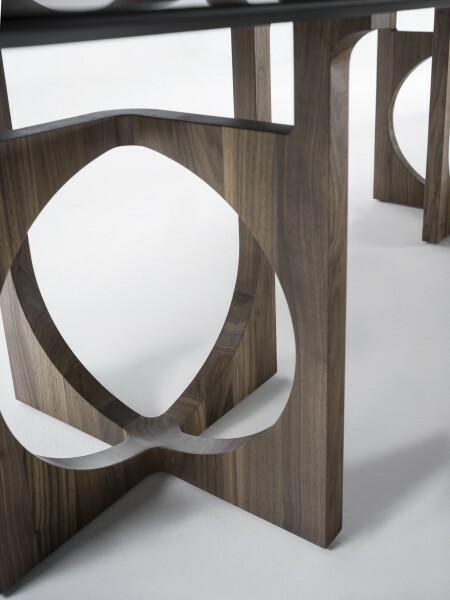 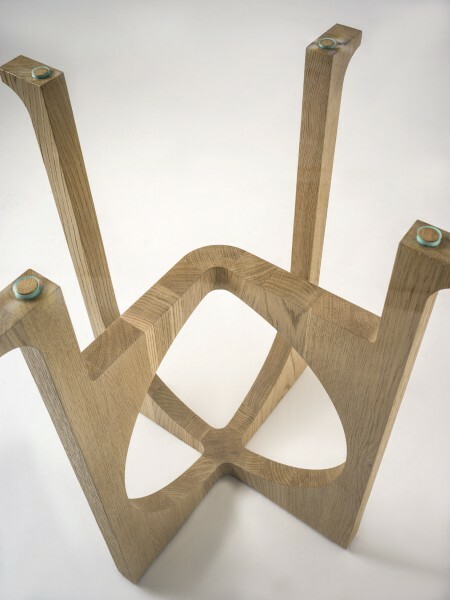 The asymmetrical solid wood base. 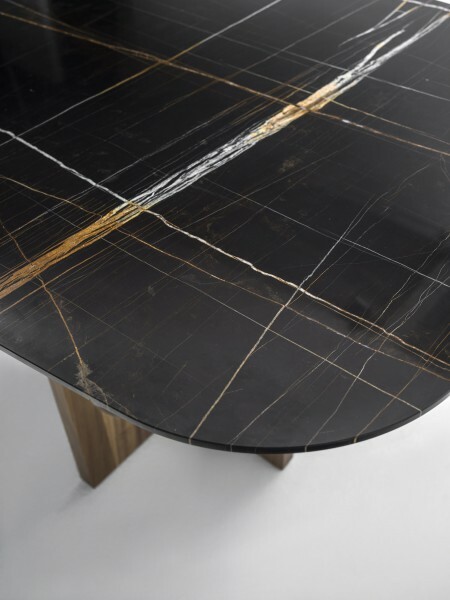 Precious wood essences are combined with marble and glass to make Vuoto even more sophisticated.